Alex Dubeau of the U SPORTS champion UNB Reds men’s hockey team is the U SPORTS Male Athlete of the Month for March 2019. 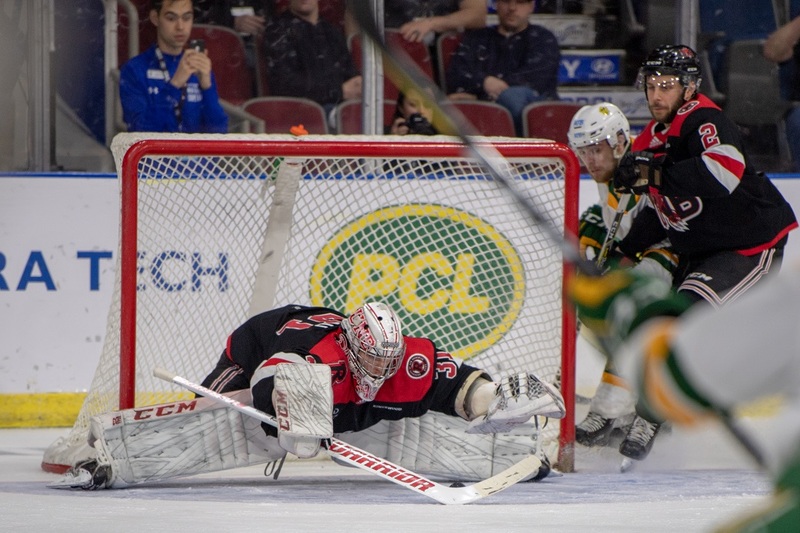 A fourth-year goaltender from Mascouche, Que., Dubeau backstopped UNB’s three wins as the Reds captured the 2019 David Johnston University Cup in Lethbridge, Alta. He faced a total of 77 shots in the three wins, stopping 73 of them. Dubeau finished the tournament with a 1.33 goals against average and a .948 save percentage, earning national championship Most Valuable Player honours. In the AUS conference playoffs, Dubeau and the Reds went 5-0. In the final series versus StFX, Dubeau made nine saves in the Reds’ 5-1 win in Game 1, and another 17 saves in UNB’s 7-1 win in Game 2 to sweep the series.